Simply put, a smoked beer is a beer that is made using smoked malts. 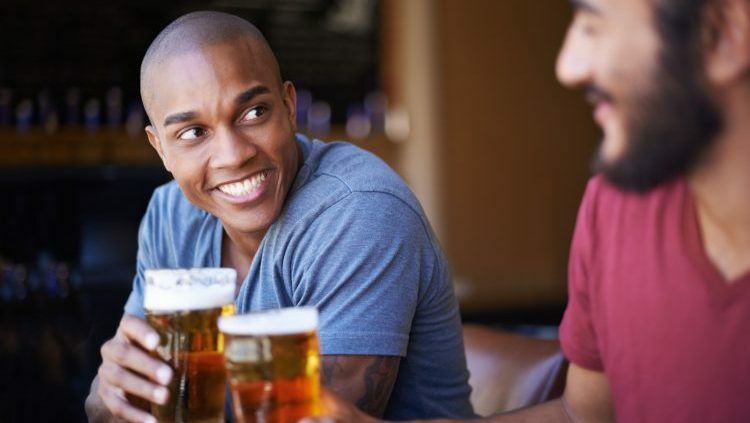 Commonly referred to as Rauchbier, the style is like the beer equivalent of the famed Islay style of Scotch whiskey. Similar to the whiskey, this beer style is well-known for its smoky flavor. 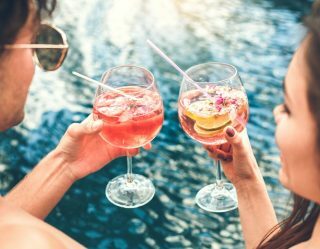 The style has been popular in Germany for centuries and has begun to gain popularity in the U.S. craft beer world in the last few years. 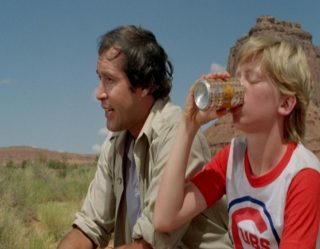 “Smoked beers originated in Germany as Rauchbier (rauch = smoke, bier = beer), but in the United States, smoked beers have become synonymous with creativity and experimentation,” says Dharma Tamm, president of Rogue Ales. This means they aren’t necessarily Rauchbiers. Smoked porters are a popular choice as well. 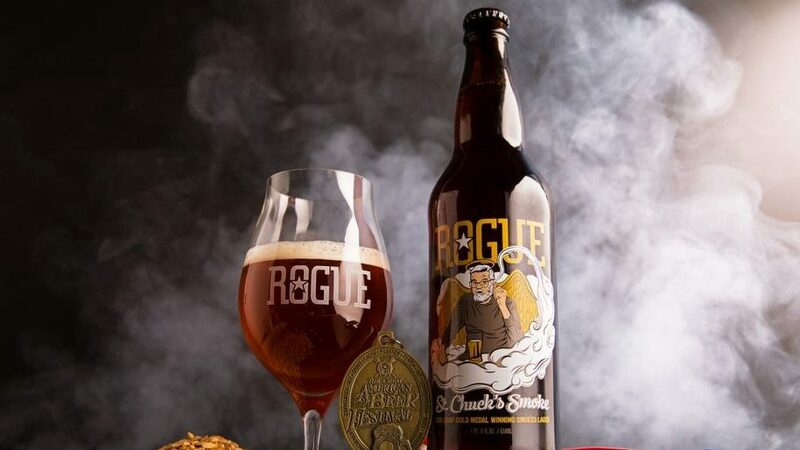 Rogue recently released a smoked beer called St. Chuck’s Smoke. It’s their riff on a classic Marzen lager. The beer is designed to be a mash-up of the traditional smoked beer style with the creativity of Rogue. Much of the malt used to create the beer was smoked by Nate Linquist, Rogue’s cooper. “The resulting beer is rich with notes of caramel and a lingering smoke finish,” says Tamm. Rogue brewmaster John Maier has always enjoyed brewing (and drinking) smoked beers. “They’re my favorite to brew,” he says. This isn’t the only smoked beer made by Maier and Rogue. “I brew different smoked beers throughout the year, and it’s always great when my favorite beers to brew win awards.” St. Chuck’s won a gold medal at this year’s Great American Beer Festival. Take a swig of some of our other favorite smoked beers from the hot new brewing trend. 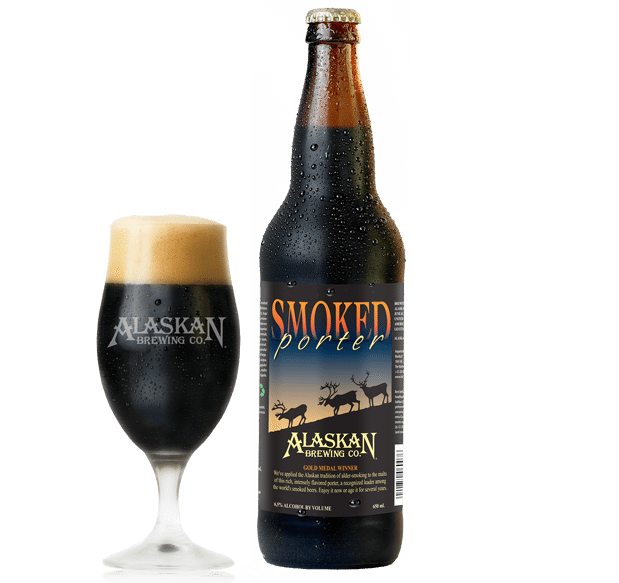 Created way back in 1988, Alaskan Brewing’s Smoked Porter was one of the first smoked craft beers crafted in the U.S. This 6.5 percent alcohol smoked porter is made in November every year in very limited batches. If you’re lucky enough to get a bottle, you’ll be treated to a rich, smoky beer with hints of dark chocolate and coffee. If you’re only going to try one smoked beer, make it this classic, German beer. 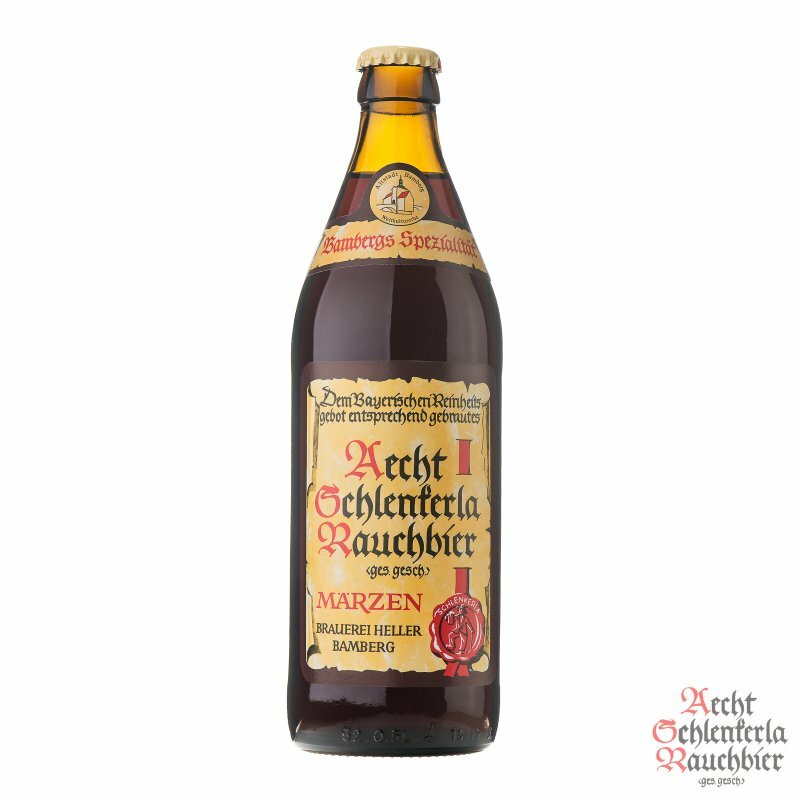 This bottom-fermented Rauchbier is 5.4 percent alcohol and is brewed in the Bavarian town of Bamberg using traditional methods. It’s well-rounded, smoky, and malty with hints of bread and herbal hops. This 5.9 percent alcohol smoked porter is Stone’s smoked take on the traditional English porter. It’s dark, smooth, well-balanced and full of coffee, chocolate, caramel, toasted sweetness, with a subtle peat-smoked presence. 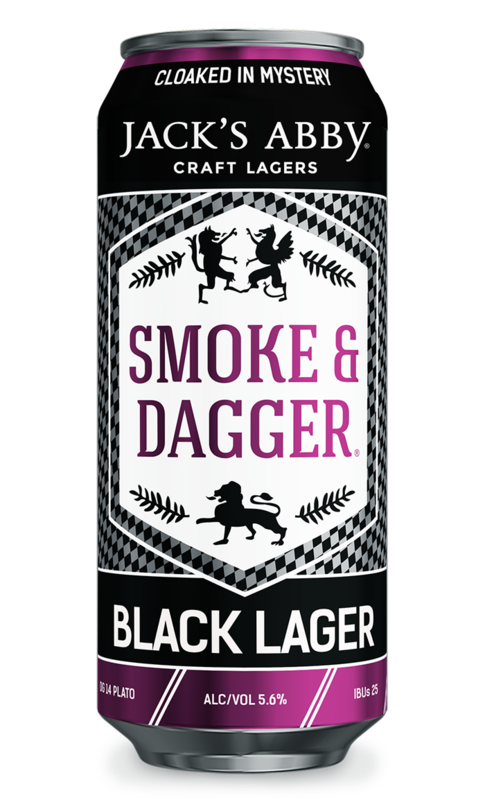 Bridging the gap between old world and new, Smoke & Dagger is a 5.6 percent alcohol Rauchbier made with beech wood-smoked malt as well as chocolate malt. 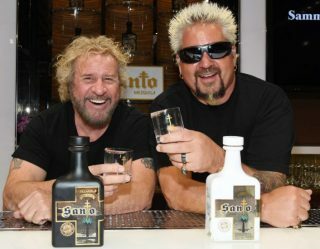 The result is a smoky, chocolatey, rich brew with hints of molasses and very little bitterness. Minnesota’s Surly Brewing has made quite a name for itself in the craft brewing world in the last few years. 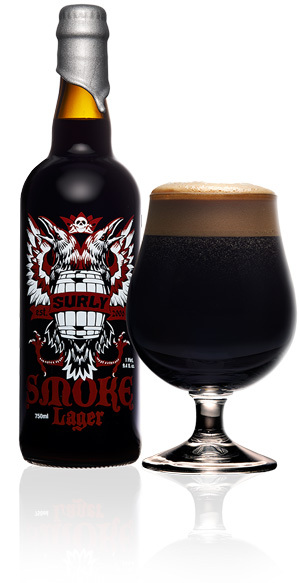 Its take on the smoked beer style is aptly called Surly Smoke. This 8.2 percent alcohol oak-aged smoked Baltic porter is mixture of tradition and innovation. 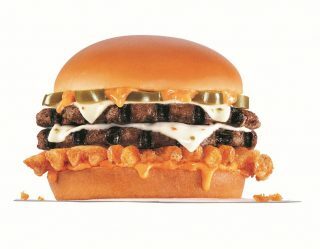 It’s smooth, rich, and ends with a subtle hint of smoke.